Thailand would have to amend its laws. It would have to abandon the principles of requesting prior authorization and benefits sharing in relation to the development of new plant varieties. This would mean that the seed companies, multinational bio-tech companies, and big agri-businesses would not need to make a request nor share benefits when they exploit wild plants or widely available plants and local plants to develop new varieties. This would make it easier for multi-national corporations to request protection for new plant varieties and gain monopoly rights. They would be able to appropriate Thailand’s biological resources without consideration for the sovereign rights of the country, which is one of the principles in the UN Convention on Biological Diversity (CBD). Thailand would have to extend the period of corporate monopoly rights over new varieties from 12 years in most cases, to 20 years. In addition, it would open up a loophole in the law for private companies to prevent farmers from collecting seeds of the new varieties for planting in the next season, as well as preventing them from distributing and exchanging seeds with neighbours both inside and outside their community, which is a common cultural practice of farming communities. 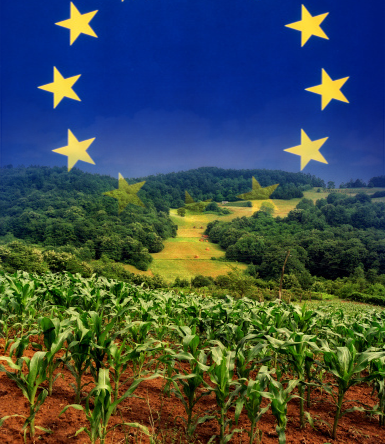 The amendment of the laws in accordance with the demands put forward by the European Union will mean that, in the main, plant breeders will have greater difficulties in accessing plant varieties for development, and limitations will be imposed on the use of the yields from these plants. This would be very similar to the monopolies created under a plant varieties patent law. The increase in monopoly rights and the diminishing of farmers rights will have an impact on farmers in Thailand in the future, who would have to buy seeds at around 3 times the current price. Farmers’ production costs would rise while transnational corporations and giant agribusinesses would gain a complete monopoly over seeds. This would have an impact on the food security of the country and push up the price of foods for the general population. The increasing scope of monopoly rights gained by companies and plant breeders may result in the imprisonment of farmers as if they were criminals, and lawsuits for exorbitant sums, as seen in such cases in the United States. A report of the US based Center for Food Safety states that from 2005 to end 2006, the Monsanto company launched 142 lawsuits for breach of its patents, against 410 farmers and 56 small-scale farm businesses, in 27 states of the USA. The company was awarded damages to a total of US$ 23.5 million or 705 million baht. To which can be added settlements out of court of not less than 100 million US dollars or around 3 billion baht. 1) investigation, whereby the companies enter into farms to make tests, take pictures, be disruptive, even make direct threats. In many cases there is entrapment, similar to arrests in cases of drugs busts. 2) threats to sue, along with talking farmers into to paying damages before their case goes to court, or even settling while a case is already in court but the judge has not yet reached a conclusion. 3) Full execution of court decisions. Giant seed companies take action to make sure that no farmers collect patented corn, GM Round-Up-Ready soya for use in the following season. In other words, farmers have to buy new seeds every season, they are prohibited from collecting or storing them. Companies or cooperatives which are in the business of seed cleaning have been threatened. They have been issued with court notices to investigate their bank accounts without the account holder being aware of it. The names of their clients have been investigated, and clients who are poor farmers have been harassed so much, that no one dares to work with these small businesses. The latest case which became a major issue is the case of an Indiana farmer aged 75 years old called Vernon Hugh Bowman who bought soya seeds from the granary nearby his farm. Mr Bowman bought them for planting but did not know that the assorted seeds kept in that silo included Round-Up Ready seeds. After planting them, he collected the seeds for replanting in a second short season. However, Monsanto investigated his field and found that most were Round-up Ready soya and therefore sued for breach of patent. If Monsanto wins the case, this would mean that Monsanto would have increased the scope of its patent to cover a third generation of its seeds and give them the rights of monopoly to collect royalties for the re-use of seeds until the expiry of the patent. The acceleration of negotiations with the EU and the enthusiasm being applied to the negotiations on the Trans-Pacific Partnership (TPP) Agreement steered by the US, may mean that we will have to accept the Trade-Related aspects of Intellectual Property Rights Agreement (TRIPs+) to the same level as EU and the US. Meanwhile, the Department of Agriculture, academics, plant breeders have worked together to draft a new law to to replace the 1999 Plant Varieties Protection Act. The content of this draft reflects the demands of the European Union on almost every point. Furthermore there is a request that Thailand abolish the Plant Varieties Protection Committee whose members were selected by farmers, academics and NGOs according to the original law, and set up a new government-appointed body. Compliance with demands of the European Union or hasty government amendments to domestic laws allows the government to claim that Thailand did not amend any laws on account of the EU-Thai FTA negotiations. However, in reality, these legal amendments will benefit European transnationals and giant agribusinesses which are aggressively trying to reach their business targets. In their latest move, the company is collaborating with Naresuan University to do a research study on a herbicide-resistant maize variety called NK603, which is Round-Up Ready GM maize. A superficial consultation at Pitsanulok province where the field trial will take place was held behind closed doors to accelerate the process of requesting authorization from government ministers. These are all strong warning signals of threats to farmers’ rights, biological resource sovereignty and the food security of Thai society.